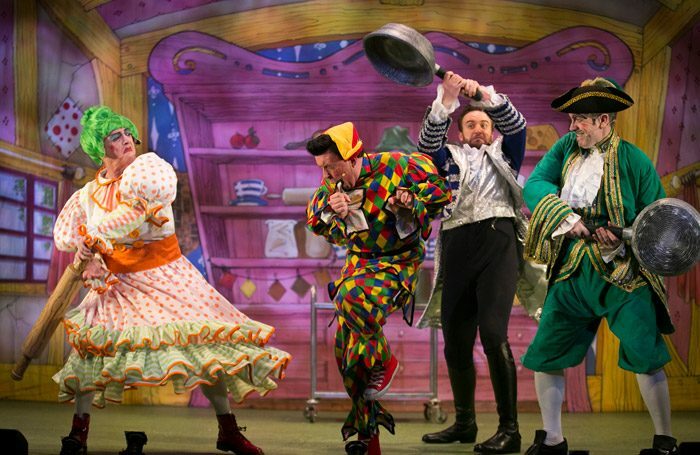 Featuring plenty of local jokes, a star turn from Jimmy Chisholm as the dame and a gentle rewriting of the fairytale, Snow White is a solid example of a Scottish traditional pantomime. The asides for adults jostle with plenty of slapstick and easy humour, while the plot is never allowed to get in the way of the comedy. There’s little attempt to push the boundaries in Alan McHugh’s script, but it avoids crassness and manages the child-like fun effectively. Lee Samuel’s Muddles is a classic foil to the romance of Snow White and her Prince Charming, and the ensemble dancers – drawn from the local community – provide precise dancing support for Stephanie Falls and Blair Robertson’s love songs. Jane McCarry’s villain is pitched exactly between the ridiculous and the threatening, and the cast move through the action at a rapid pace. Among the other pantomimes on the West Coast of Scotland, this show occasionally lacks a sense of adventure – elsewhere, wry irony and restructuring of fairytales have given the festive jamboree a more contemporary edge – but David Goodall stays true to the foundations, providing entertainment that recognises the importance of engaging with local interests, offering a solid show that plays to the crowd.